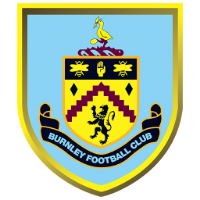 Burnley recorded a famous 2-1 victory at Turf Moor against Tottenham Hotspur. Goals from Ashley Barnes and Chris Wood, either side of a Harry Kane goal condemned Spurs to only their third away loss of the season. It could prove a huge blow in Spurs' aims for their first ever Premier League crown with games against Chelsea and Arsenal coming next week. 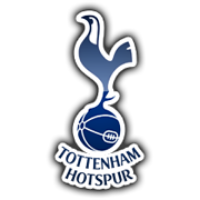 As expected Tottenham started the game on the front foot, with Burnley's main way of getting the ball forward was to play it long to either Ashley Barnes or Chris Wood. Burnley grew into the game as time went on, they were having a lot of joy down the left flank,exploiting the mistakes between Serge Aurier and Moussa Sissoko. Spurs' first chance of the game, came through Harry Kane, as he drove at the Burnley defence and let off a left foot shot which went just wide. As the half wore on, neither side could really create any concrete chances and struggled to break each others' defence down. Burnley though did have a fantastic chance when Barnes was fed the ball into the box and on the turn hit a shot which just went over the bar. The second half started with Spurs having complete control of the ball but Burnley stood firm to deny to them. We almost saw one of the goals of the season, when Kane picked the ball up at least 30-35 yards from goal and had a speculative effort which almost found the top corner but Tom Heaton made a magnificent save to deny the Englishman. Tottenham continued to dominate possession and looked comfortable, whilst they held the ball but they were struggling to find a way past a stubborn Clarets defence. Burnley did take the lead in one of there rare attacks. It had to come from a set piece. The ball was swung in from the right side and Chris Wood towered over Juan Foyth and his header went in off of the crossbar. 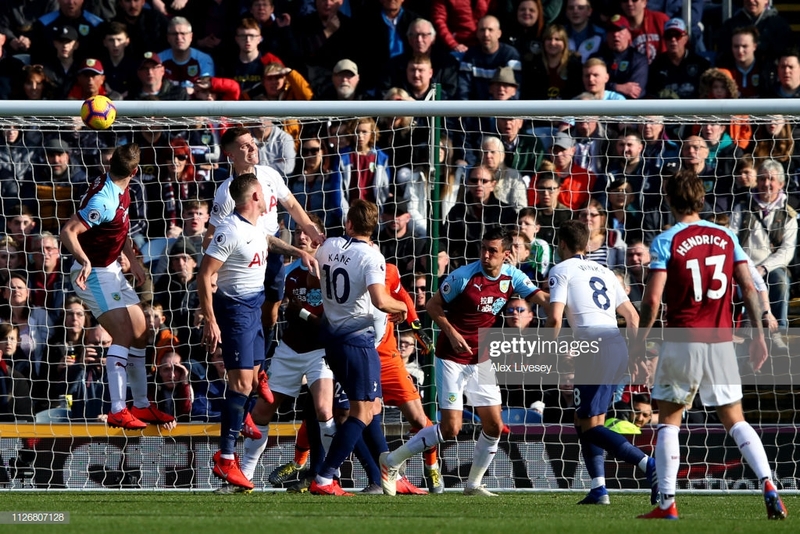 Tottenham were level in the 66th minute when a quick throw in, down the left from Danny Rose, found Harry Kane and the England captain showed great strength and buried it into the bottom right corner of the Clarets net. Burnley then had a great chance through Jeff Hendrick. Wood headed it out wide to Hendrick, who drove it at goal, but it went just wide of the post. Burnley again came close in the 77th minute. Hendrick put in a brilliant driven cross into the box and a double effort from Wood and then McNeil was first saved and then superbly blocked. Tottenham struggled to really create anything but for a last minute header from Erik Lamela which was easily saved by Tom Heaton. Kane returned to the Spurs starting XI after seven weeks out. Whilst looking a little sluggish in the opening stages, Kane really did make his presence felt. Kane took his goal superbly well, showing his strength to outmuscle the defender and finish into the bottom corner. It was a shame that he could not inspire his team to victory that they desperately needed. Does the No League Draws Cup count? Tottenham have now not drawn a league game since April last year and they deserved to take nothing from this game. Burnley even though they didn't have much of the ball, they used it much better than Spurs did. Defensively Burnley were superb and always looked dangerous on the attack. Spurs' midfield was no existent all game and struggled to actually get the ball up to Kane or Son. The players will need to pick themselves up considering who they have got in the next three matches. Burnley play a very defensive brand of football against the bigger teams and today it worked brilliantly. They soaked up the Spurs pressure well and hit them with both barrels on the counter. Wood and Barnes were excellent up front and Hendrick always looked a constant danger. The scorer of the Burnley goal and a constant threat to the Tottenham backline all afternoon. Wood held up the ball superbly and always looked a threat on the counter attack. He took his goal superbly, out jumping a tall defender like Foyth and getting the header to come back down from the crossbar was incredible.